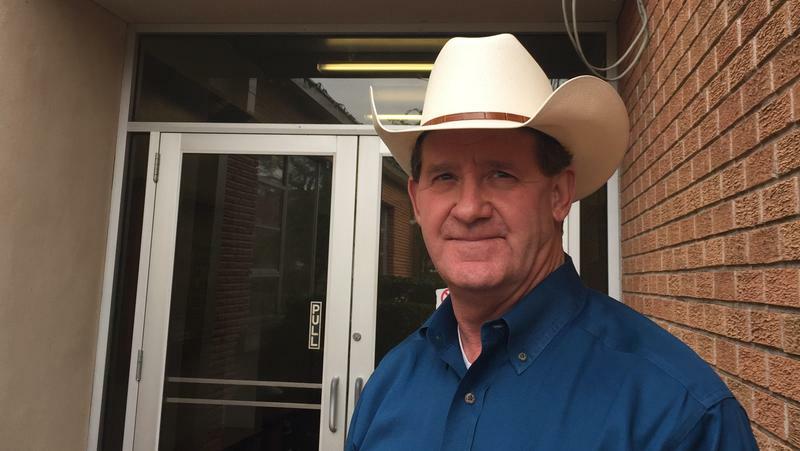 There's been a lot of criticism on social media about money being diverted a few weeks ago from the Federal Emergency Management Agency to Immigration and Customs Enforcement. The amount? About $10 million. The World fact-checked this and located the congressional document to prove it. 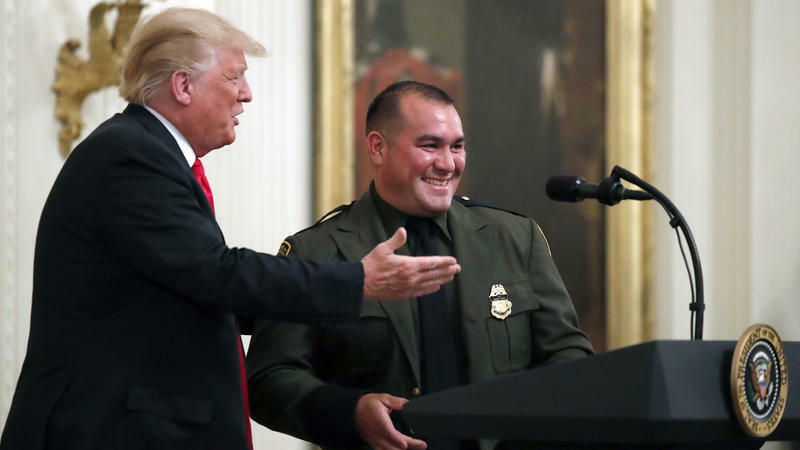 President Trump praised federal agents protecting the nation's borders and enforcing immigration laws, calling them "great patriots" and telling them, "We love you, we support you, we will always have your back." A man who was driving his pregnant wife to the hospital on Wednesday was detained because of an outstanding warrant for his arrest in Mexico related to a homicide case, according to immigration officials. Joel Arrona-Lara and his wife, María del Carmen Venegas, had scheduled a cesarean section and were headed to the hospital when they stopped for gas in San Bernardino, Calif.
After pulling into the gas station, surveillance footage shows two other vehicles pulling in and surrounding the couple's van on either side. 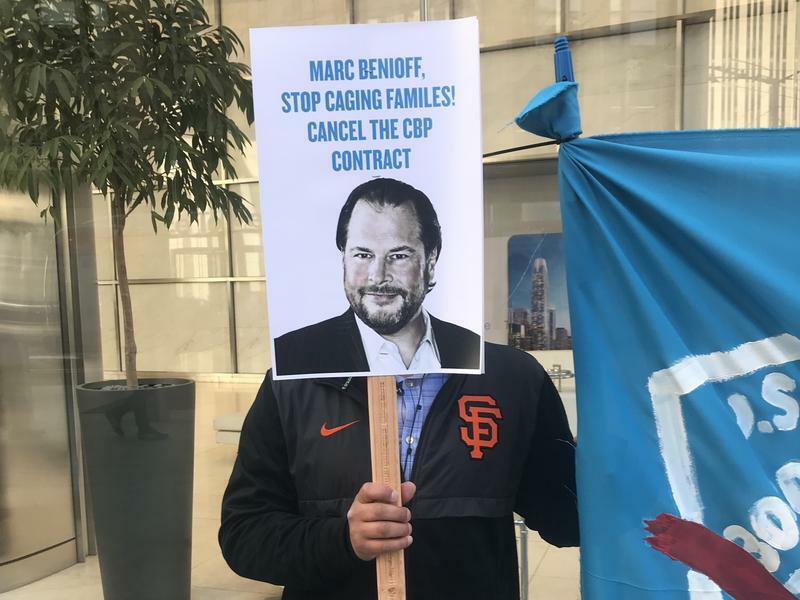 Tech workers from Salesforce, Microsoft, Amazon and Google have been putting pressure on their CEOs to cut ties and end contracts with U.S. Immigration and Customs Enforcement, known as ICE, and other government agencies. It's a rare occurrence for employees to tell their bosses to turn away business. But there is a growing concern among tech workers that the cutting-edge tools they create can be used in immoral ways. Raphael A. Sanchez, who was chief counsel at the U.S. Immigration and Customs Enforcement office in Seattle when he opened credit cards and took out loans using the personal information of vulnerable immigrants, has been sentenced to four years in prison. 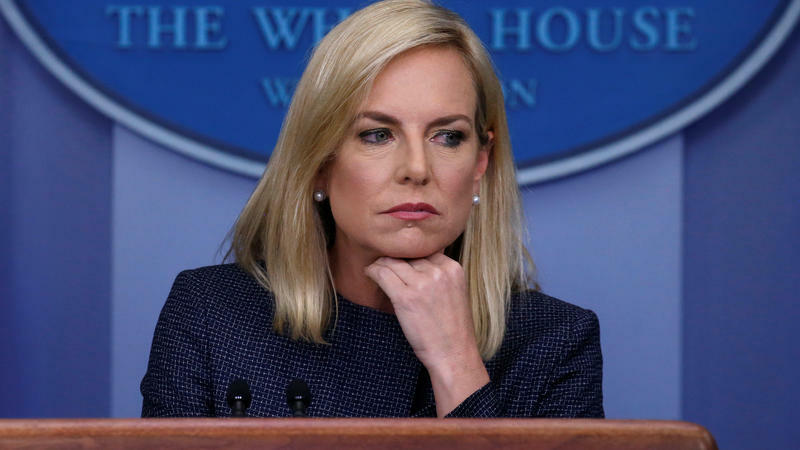 Embattled Homeland Security Secretary Kirstjen Nielsen ate dinner at a Mexican restaurant in Washington, D.C., on Tuesday — and was targeted by protesters angry over the Trump administration's border policy that has separated children from their families along the U.S. border with Mexico. "We're in downtown DC disrupting DHS Secretary Kirstjen Nielsen's dinner at MXDC," the Metro D.C. Democratic Socialists of America wrote in a Facebook post about the confrontation. "The irony isn't lost on us that this is a Mexican restaurant." 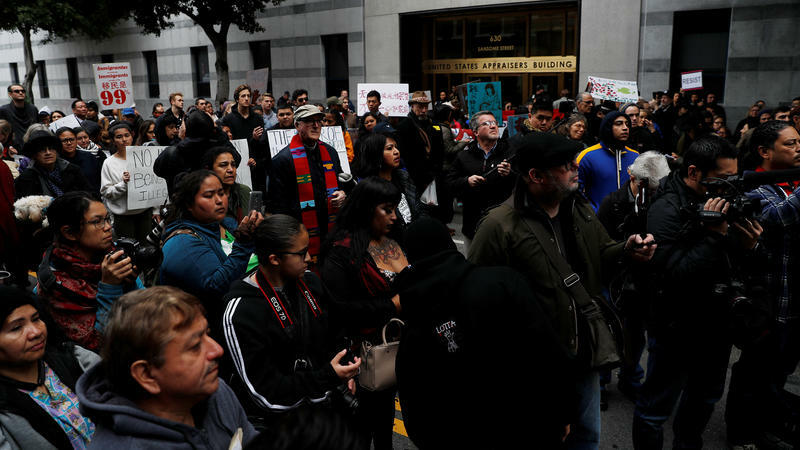 Activists across the country say they are being targeted by federal immigration authorities for speaking out at protests and accusing the government of heavy-handed tactics. The Trump administration has warned that anyone in the country illegally could be arrested and deported under tough new enforcement rules. And federal officials deny allegations of retaliation. 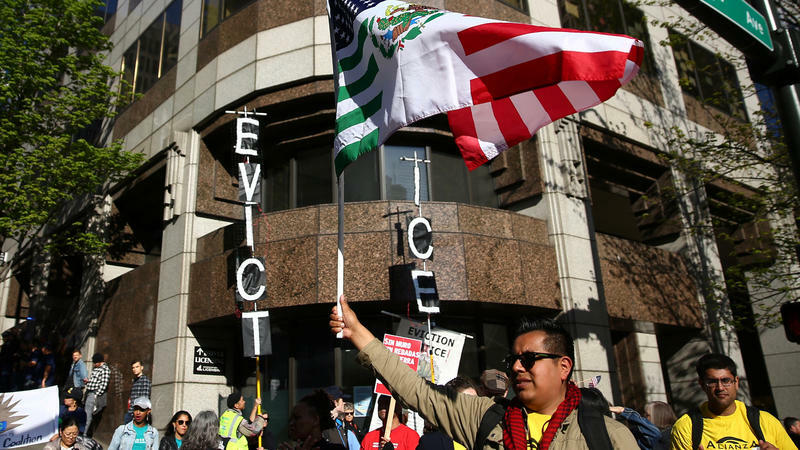 But the American Civil Liberties Union and other groups say they have documented two dozen cases of immigrant activists and volunteers who say they have been arrested or face fines for their work. James Schwab has resigned from his job as a Department of Homeland Security spokesman, saying he didn't agree with Trump administration officials' use of "misleading facts" to attack Oakland Mayor Libby Schaaf after the mayor issued a warning about an immigration sweep in late February. Anytime someone is booked into a county jail for a crime in the U.S., his or her fingerprints are automatically sent to federal authorities. If the suspect happens to be an undocumented immigrant, what happens next could depend on where the jail is located. 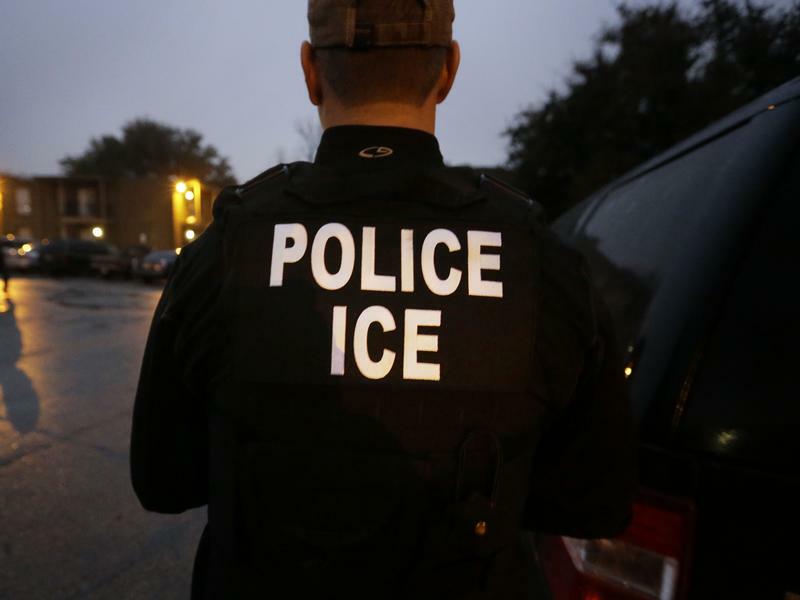 Immigration and Customs Enforcement often asks jails to hold undocumented people, so federal agents can pick them up and put them into deportation proceedings. 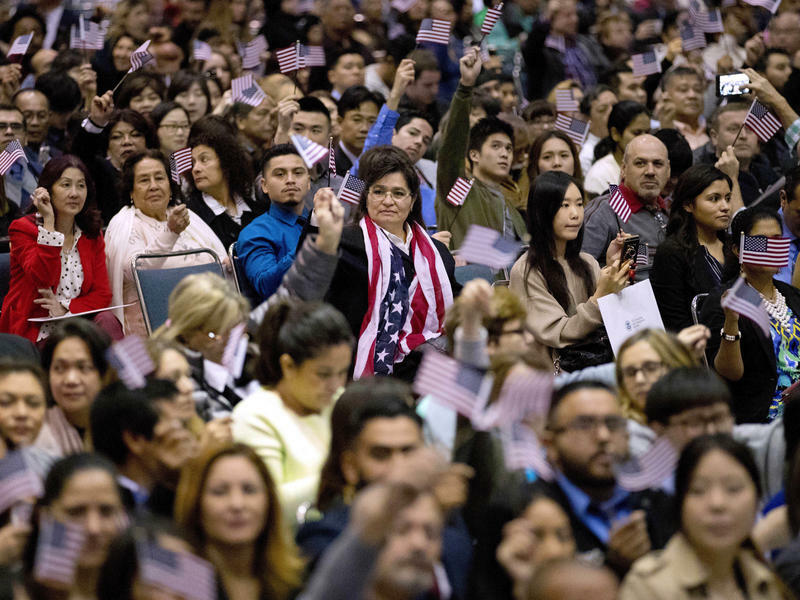 United States Citizenship and Immigration Services is changing its mission statement to eliminate a passage that describes the U.S. as "a nation of immigrants." Ninety-two Somali detainees await their fate after a failed deportation attempt prevented them from reaching Somalia. The plane, reportedly charted by U.S. Immigration and Customs Enforcement (ICE) and destined to Mogadishu, only made it as far as Dakar, Senegal where it was parked on the runway for a day. We talked to Rebecca Sharpless, a law professor at the University of Miami and head of the university’s immigration clinic, which along with some advocacy groups is suing the government over alleged mistreatment of these detainees. 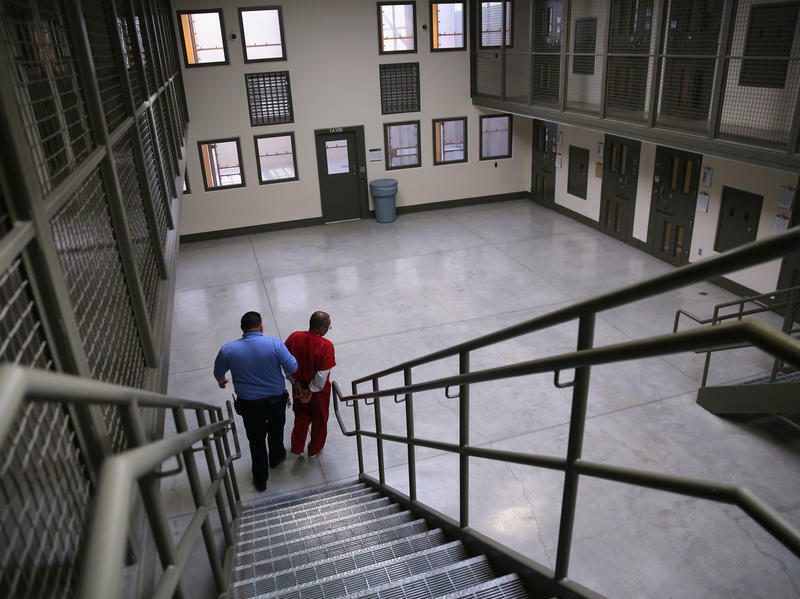 Amid the Trump administration's efforts to arrest people living in the country illegally, the Department of Homeland Security is looking at locations for five new detention centers around the country that could hold thousands of detainees. 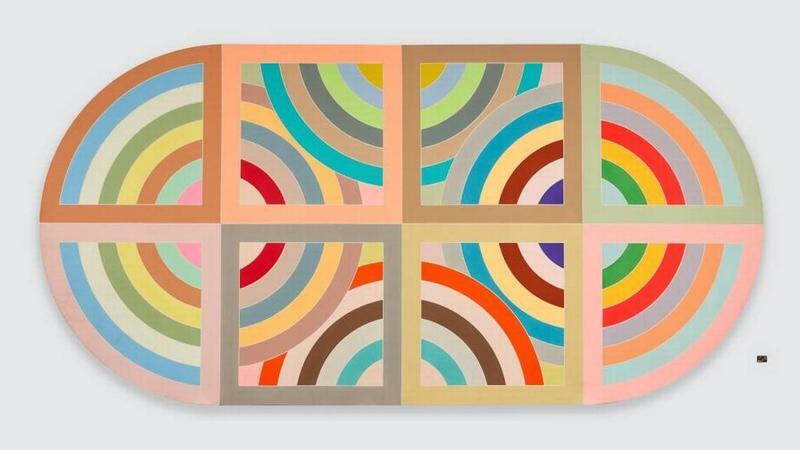 The idea started with Violeta Roman’s story. It was before dawn in 2014, and Roman was already at work — the early shift at a café in San Francisco. Then her daughter called, sobbing. "I asked her what was wrong," say Roman. "'The police are here,' she said. 'They are taking grandpa away.'" Roman asked a coworker to rush her home, but it was too late. Her father, from Mexico, was already cuffed and being driven away by Immigration and Customs Enforcement officers. It was a quick operation — 15 minutes. 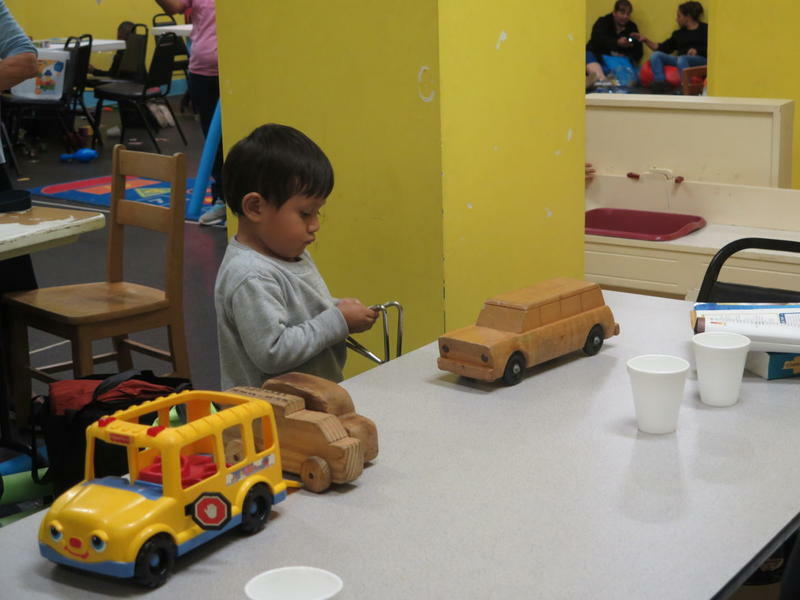 About 50 immigrant women and their children found themselves stranded at a bus station in downtown San Antonio, Texas, as Hurricane Harvey was approaching on Friday evening. The asylum-seekers were transported by US Immigration and Customs Enforcement officials, after being released from family detention centers. 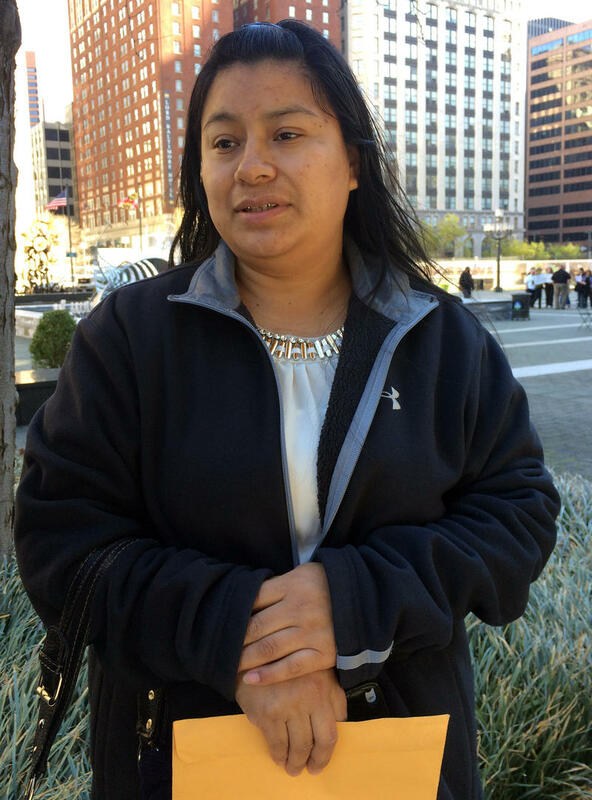 Florinda Lorenzo has been in the U.S. illegally for more than a decade but checks in with federal immigration agents in Baltimore several times a year. Until recently, it had become routine, almost like a trip to the dentist. 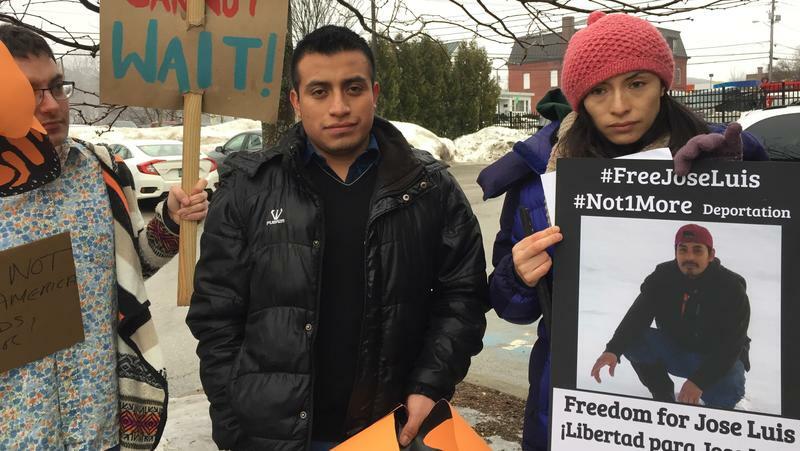 Many immigrants who are here illegally — like Lorenzo — are not in hiding. Hundreds of thousands of them report to U.S. Immigration and Customs Enforcement on a regular basis. They've been allowed to stay because past administrations considered them a low priority for deportation.